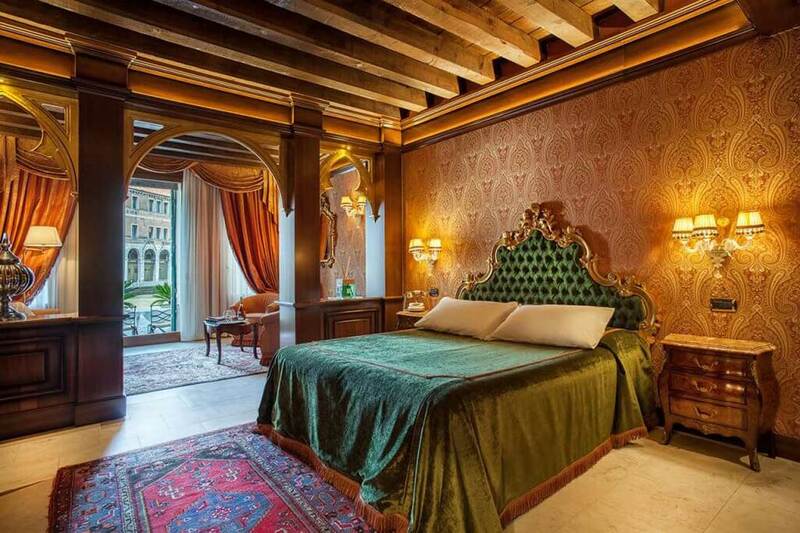 Discover this small 16th century Venetian palace facing the Grand Canal of Venice in Italy, its view of the Rialto Bridge and the charm of the 4 Star Hotel Al Ponte Antico directly accessible by water taxi through its private landing dock . This beautiful “Venetian residence” was recently renovated that has improved the quality of its welcome and its services. 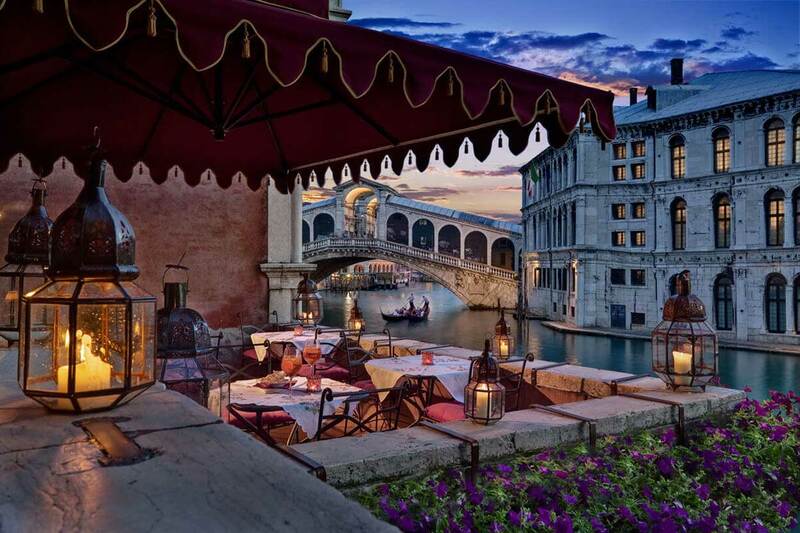 It has a small terrace overlooking the waterway’s most romantic in the world. The Hotel Al Ponte Antico offers 4 types of rooms in Louis XV style: Classic Room, Superior Room, Deluxe and Junior Suite. They are all equipped with direct dial telephone, safe, TV SAT, minibar, air conditioning and free internet access. A hearty and tasty breakfast is served each morning in the main lounge (superb wooden ceiling and large windows on The Grand Canal). The Hotel Al Ponte Antico is located in the heart of the charming and authentic Cannaregio area in Venice, near the Teatro Malibran, the Church of Santa Maria dei Miracoli and a few blocks from Castello. After a short walk through the charming maze of streets of Venice lined with shops you will reach St. Mark’s Square (Piazza San Marco), its historic monuments and legendary cafes / bars / tearooms as “Caffè Florian”.